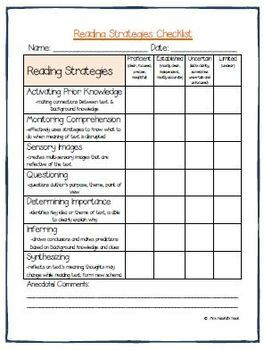 Learn more about your students' reading strategies through the reading conference binder. 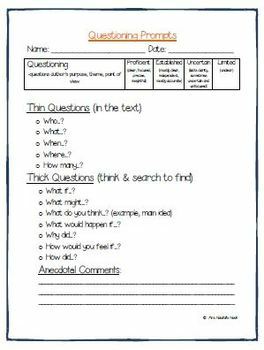 It was created to gather students’ reading strengths and areas of concern. The key to each conference is to focus on one strategy. The binder includes selected sheets for each conference. 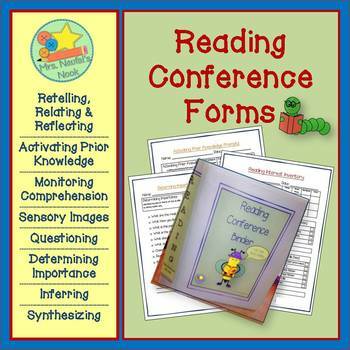 Conference sheets include: Retelling, Relating & Reflecting for Fiction and Non Fiction texts, Activating Prior Knowledge Prompts, Monitoring Comprehension Prompts, Sensory Images Prompts, Questioning Prompts, Determining Importance Prompts, Inferring Prompts and Synthesizing Prompts. 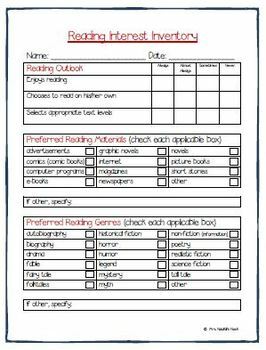 A binder cover sheet, an Independent Reading Observation as well as a Summary of Reading Observations Form is included.